Unfortunately the number of stolen cars is steadily increasing. The police has to face a serious problem. Even when they trace stolen cars, the original stamped chassis number often has been made invisible, grinded off or has been replaced by a new, forged number. 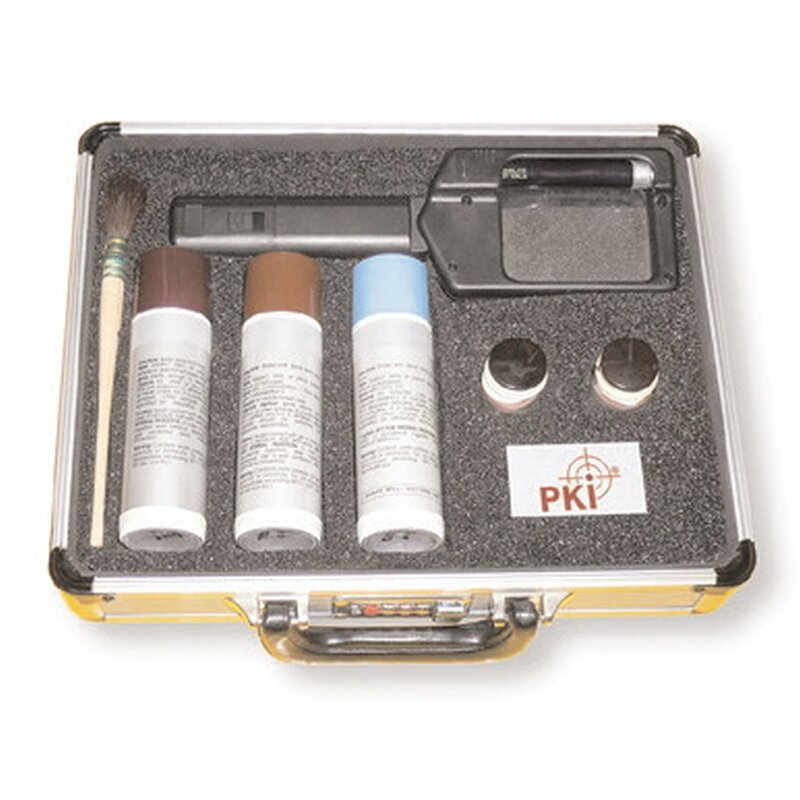 Now PKI created the easy-to-use PKI 9600 set which is indispensable in order to prove the car theft, as it makes the originally stamped chassis number visible again. You simply have to apply the adequate etching gel on the place where you suspect the chassis number, to treat it with the included brush and afterward with the neutralising liquid. In order to protect your hands always put on the included gloves. After this treatment the chassis number will clearly reappear. There is a magnetic (PKI 9530) and a chemical (PKI 9600) procedure as the surface of the material with chassis numbers may vary from one car type to the other. So it could be very useful to test both methods.